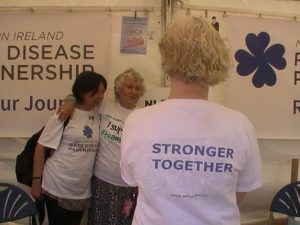 The Northern Ireland Rare Disease Partnership are supporting a research study being run by Queens University called the “Patient Passport”. This study is researching the benefits of a document that people who manage a rare condition can carry around with them. The document details all the necessary information about their condition, their needs and their daily life and support mechanisms. Queens are recruiting at present for participants in the study and wondered whether you might know of an individual who would be interested in taking part in this initiative, or whether you might be happy to share information on this initiative with any relevant contacts. This study, if successful could have a very positive impact on improving communication between a wide range of organisations for people with complex health needs. Something to be truly welcomed. We hope you find this as interesting as we do! Please get in touch with us on info@nirdp.org.uk if you would like further information. Hello Ted, NIRDP memebers were involved in the development of the first version of this- now we need to see how well it works! Is it to late to say I am interested?